One more scene at the Indian Orchard Manufacturing Company from September 1911. Image courtesy of the Library of Congress, National Child Labor Committee Collection. 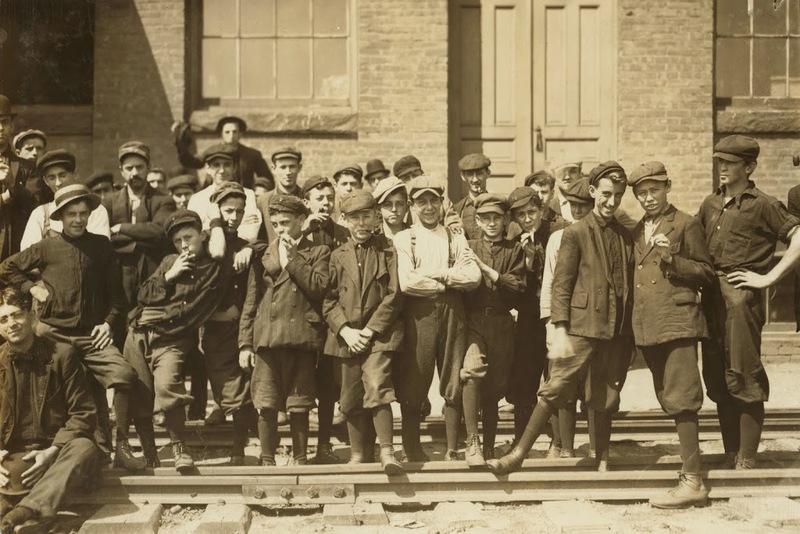 Like the 1911 photos on the posts here, here, and here, this shot by Lewis Wickes Hine captures a moment of the lives of these young boys who worked full time in the textile mills in Indian Orchard. 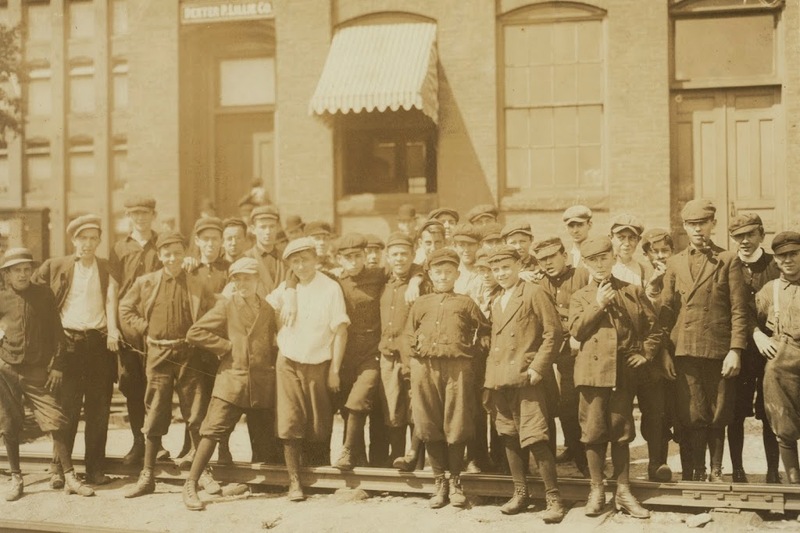 Although anonymous faces to a modern-day audience, most of these boys were likely French-Canadian, Polish, or Irish immigrants who left school at around sixth grade (or earlier) to supplement their families’ income. Many of them would probably go on to fight in World War I, live through the economic hardships of the Great Depression, and have children who would fight in World War II. 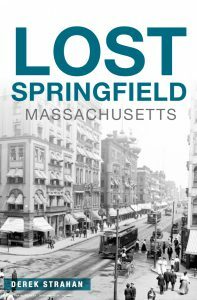 Today, many of them probably have grandchildren and great-grandchildren who live in the Springfield area. 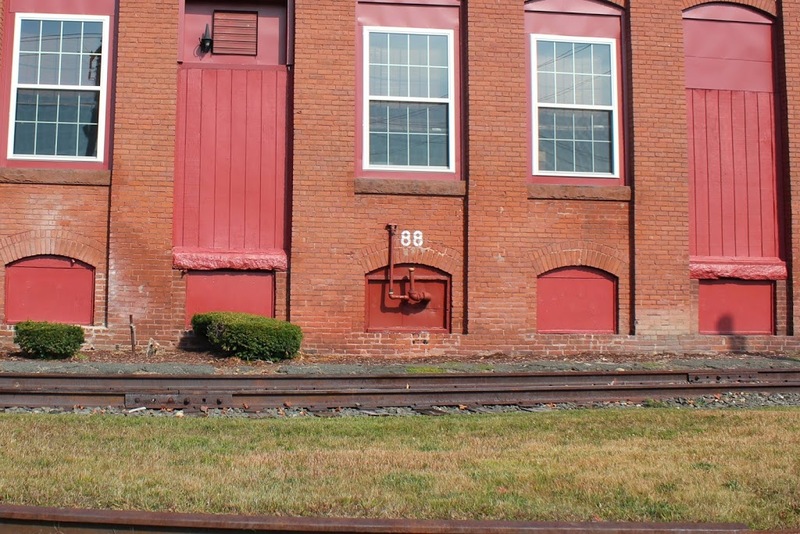 Through all the generations, though, the scene has stayed pretty much the same – the building, which was built in 1895, still stands, and is still used for industrial purposes, unlike so many other historic mill buildings in New England. 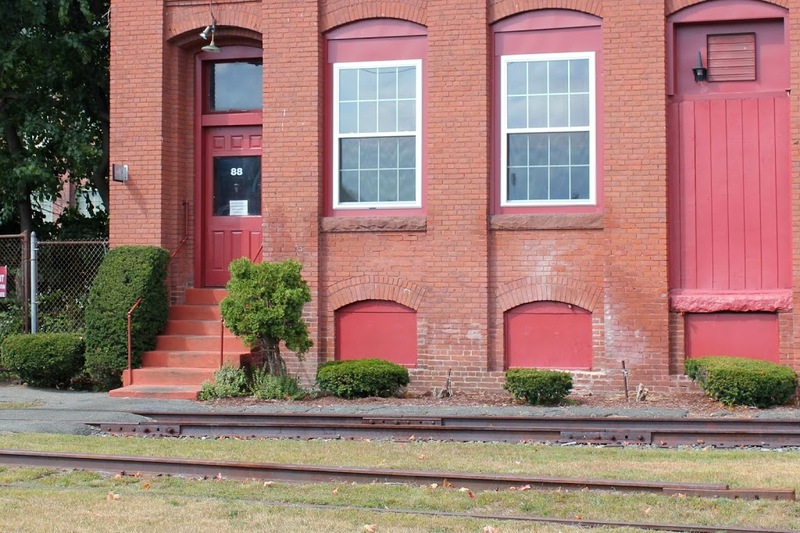 The railroad tracks are still there – perhaps the same rails as in 1911 – although the line, which once extended all the way to Athol, now ends just a few hundred yards short of the factory. Another scene outside of the Indian Orchard Manufacturing Company in September, 1911. Image courtesy of the Library of Congress, National Child Labor Committee Collection. As the names of the workers suggests, most of the children in the photo were probably recent immigrants from Quebec. 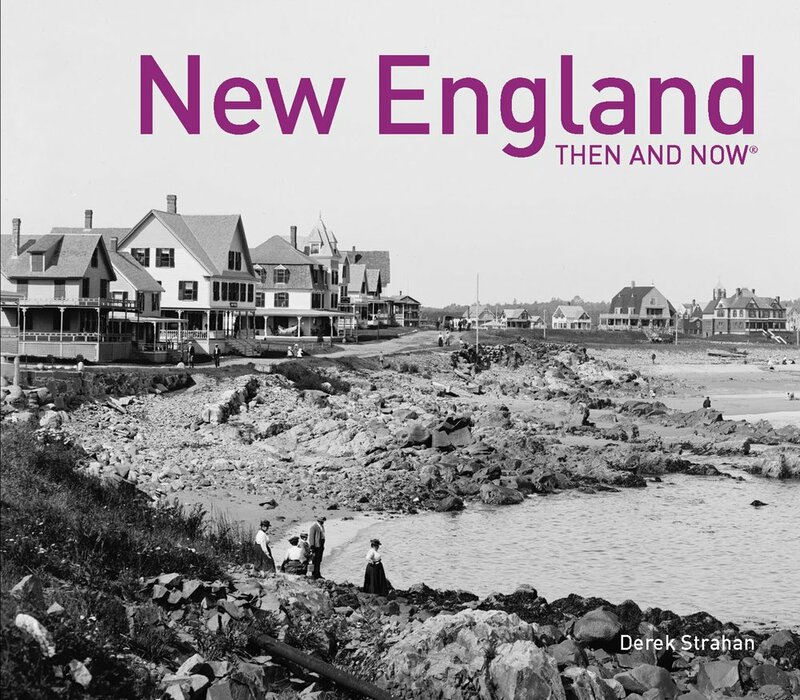 During this time period, there was large-scale immigration of French-Canadians (including my own ancestors) who came to the Springfield area to work in the factories. Although the children have in all likelihood passed away, many of them probably have descendants who still live in the area, perhaps unaware of the role that their ancestor played in the history of child labor laws. Today, the building is still there, although the company itself was sold in 1932. 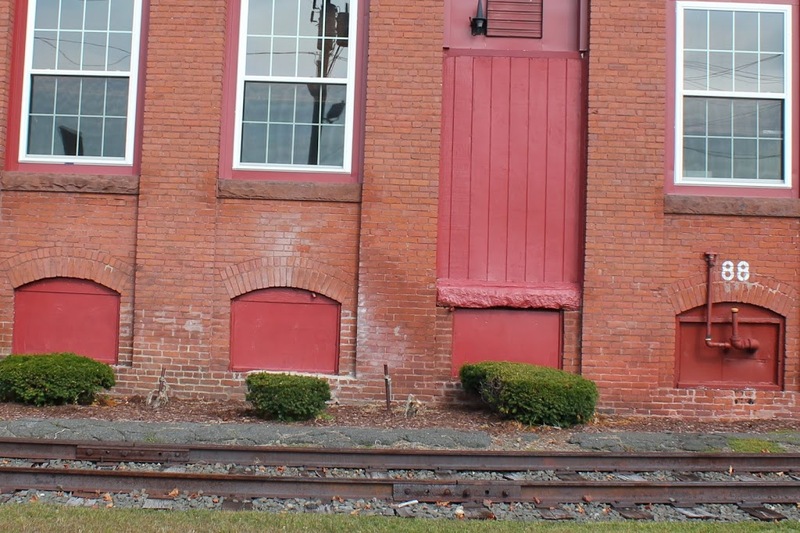 Today, the site is still used for industrial purposes, albeit with older workers older than middle school age. 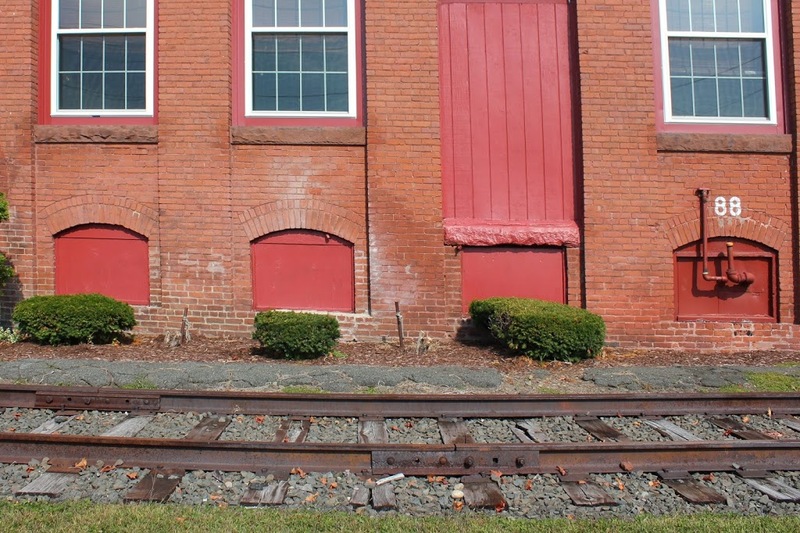 Even the railroad tracks are still there, and a few of the rails appear to be dated 1909, which would suggest that the ones there today may have been the exact same ones that the boys were standing on in 1911. 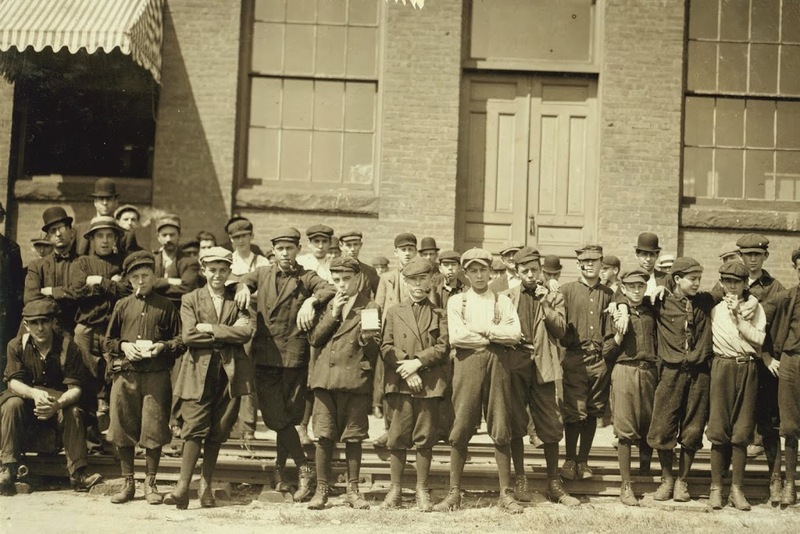 Another scene showing young mill workers in Indian Orchard, Springfield, Massachusetts, in September 1911. Image courtesy of the Library of Congress, National Child Labor Committee Collection. Group in front of Indian Orchard Mfg. Co. Everyone in public was working, (see previous lists of names). Location: Indian Orchard, Massachusetts. Workers in front of the Indian Orchard Manufacturing Company in Springfield, Massachusetts, in September 1911. Image courtesy of the Library of Congress, National Child Labor Committee Collection. Although many of them are likely not even teenagers at this point, they were likely finished with school, and were working full time in the factory. Notice how many are smoking either a pipe or cigarettes, including the boy in the front row just to the left of center, proudly displaying his pack of cigarettes to the camera. Looking north on Washington Street in Boston, toward Stuart Street, in October 1909. Image courtesy of the Library of Congress, National Child Labor Committee Collection. 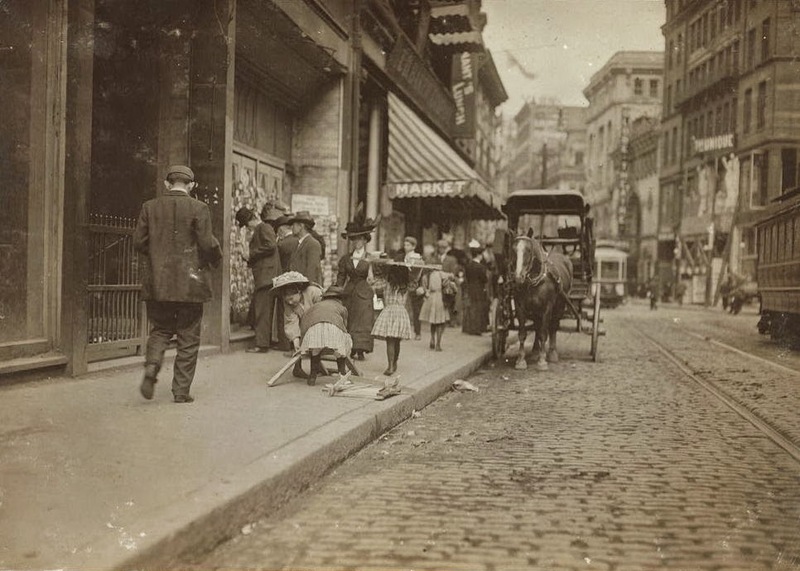 Like many other photographs by Lewis Wickes Hine of the National Child Labor Committee, the scene in the 1909 photo has almost a Charles Dickens-like appearance to it. In the photo, a couple young girls struggle to haul wood back to their homes, presumably to use for heat in the upcoming winter months. Several buildings survive from the 1909 photo, including the three buildings along the right-hand side of Washington Street in the distance. 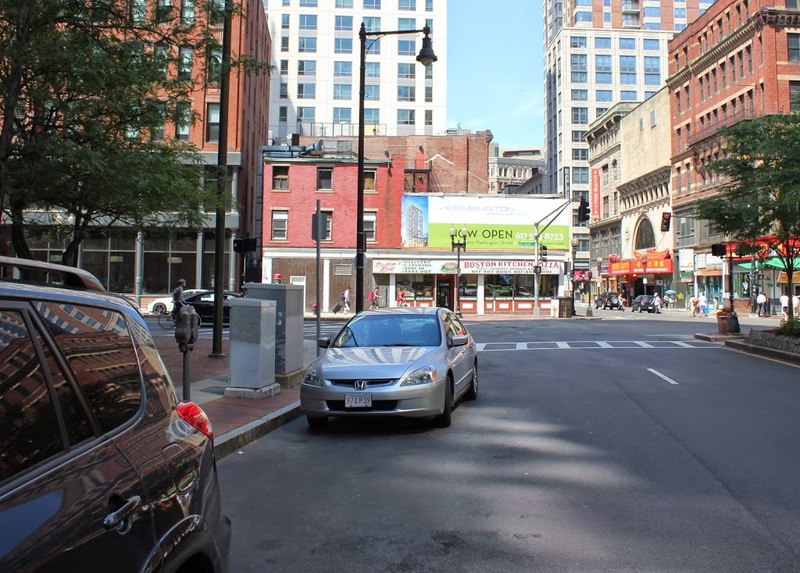 The closest of the buildings is the former Unique Theatre, which was built in 1888 and opened as a theater in 1907, where it operated as a nickelodeon, an early, no-frills movie theater that cost five cents admission, hence the name, According to the Massachusetts Historical Commission, it is likely the last surviving nickelodeon in Boston. The other two surviving buildings are the former Globe Theater, and the office building beyond it. The Globe Theater was built in 1903 and substantially renovated later on, including the addition of several stories, The other building, which is located at the corner of Washington and Beach Streets, was built around the same time, and is largely unchanged in appearance since the first photo was taken. 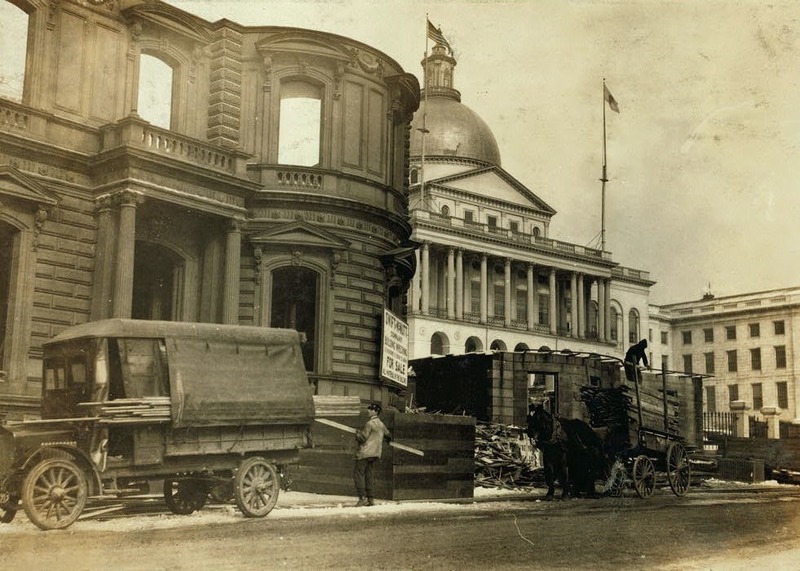 The Massachusetts State House, with a Beacon Street house being demolished in the foreground. Photo taken January 27, 1917 by Lewis Wickes Hine of the National Child Labor Committee, courtesy of the Library of Congress. 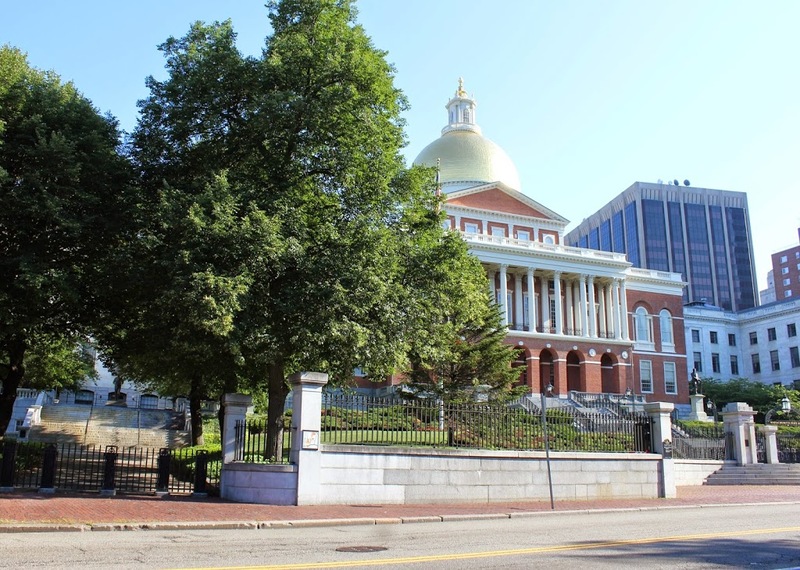 The Massachusetts State House was built in 1798, but has been expanded several times over the years. An 1895 expansion was built behind the original building, and in 1917 the east and west wings were added (east wings visible on the right-hand side of both photos). The west wing, however, required the demolition of a number of houses on Beacon Street, Joy Place, and Mount Vernon Place, and the elimination of Hancock Avenue altogether. One of the demolished buildings can be seen here in the first photo. In this particular scene, Lewis Wickes Hine captures workers, including young children, bringing wood home, presumably to use for firewood on what was probably a chilly late January day.